According to Solarski, we associate these shapes with these aesthetic concepts because of our real-life experience. Imagine one of the three objects above being thrown at you. Instinct will tell you the sphere will not hurt, the cube may if you catch it incorrectly, and the star will hurt regardless. This is based on your early life lessons regarding sharp objects. Those psychological associations let us orient them along, what Solarski calls, a shape spectrum of emotions. We associate curvature with positive feelings and safety and more triangular shapes with negative feelings and danger. 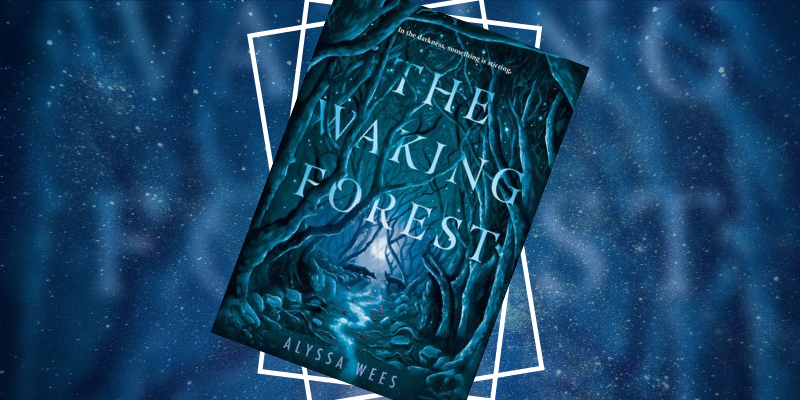 Based on shape alone we can make immediate assumptions about characters, scenery, and objects. Let’s look at Kirby. Forget his light pink body, his medium pink shoes, and his cute blue eyes. Just look at his body. He’s all curves–not a single square-like or triangular portion to be found on him. Based on Solarski’s arguments about the shape-does Kirby pose a threat? Based on your own personal experiences, does Kirby pose a threat? Probably not. Let’s look at someone who isn’t from a predominately circular gaming aesthetic. 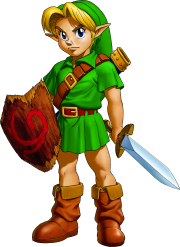 Link, from The Legend of Zelda-circa Ocarina of Time. The graphic capability of the Nintendo 64 make him a little more rough around the edges than Kirby, but the basic shapes are still there. Here is an in game graphic and the concept art for Link as a child. The curved lines are more apparent in the concept art but are still visible in the graphic rendering. Let’s start with his head. 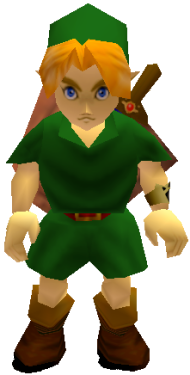 Link’s head is round and childish–showing his innocence at the beginning of his adventure. His body, on the other hand, is very square. According to Solarski, squares show maturity and stability. Well, you would have to have some level of maturity to go and save the world, wouldn’t you? His “props” also show some shape. The shield is a combination of a square and triangle. Again, some level maturity in defending yourself against great evil, but the triangle shows aggression, masculinity, and force. This makes perfect sense in conjuncture with the sword (another triangular piece), as weapons they are meant for protection and force. Typically, the responsibility of “protecting the realm” or “using force” is a masculine one. So what happens when Link grows up? His face in particular is no longer circular, or innocent; it is triangular. Triangles are aggressive, masculine, and forceful. 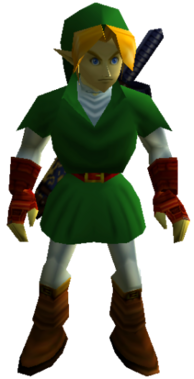 When Link becomes an adult he is responsible for hunting down Ganondorf, a great evil threatening and overpowering Hyrule. Considering he now has to fight evils in five temples which are now housing ancient evils, it seems right that he sheds the circles of childhood and dons the triangle shaped head of a threat.